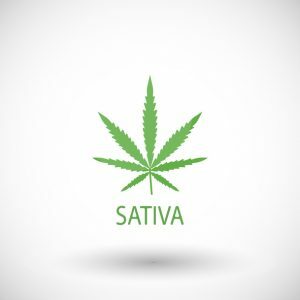 The typical comparison between Sativa and Indica goes this way: Sativa wakes you up with uplifting energy and alertness, while Indica winds you down with a more sedating effect. Generally speaking, Sativa cannabis plants have thinner leaves, taller heights, and longer flowering cycles than Indica cannabis plants. Indica strains have more THC than CBD, which could explain the sedating effect. You might seek out an earthy, piney Sativa strain to treat depression, ADD, chronic fatigue, or mood disorders. However, scientists say attempting to categorize medical marijuana by the species oversimplifies the choice and produces inconsistent results. Looking at a plant’s cannabinoid profile is a much more accurate way of predicting medical marijuana’s effects, though it’s complex. Sativa and Indica contain dozens of chemical compounds, with THC and CBD the most studied and well-known. The industry is evolving toward a better classification system, but it will take some time to overcome old stereotypes. For now, you can learn about the sativa strains Americans love and what other properties dictate how cannabis makes you feel, according to science. Sour Diesel – Hailing from California’s Emerald Triangle, the highly lauded Sour Diesel is actually a blend of 70% Sativa and 30% Indica said to produce a physical, clear high that offers lasting pain relief and energizing cerebral effects. With resinous buds and a pungent diesel fuel and earth flavor, this strain is fast-acting. Blue Dream – Blue Dream is the most popular strain in the Leafly First grown in Seattle, Washington by Dragonfly Botanical Gardens, this Sativa-leaning strain delivers a mellow euphoria and body calm, with improvements to focus, memory, and cognitive functioning, thanks to the Pinene inhibiting the THC activity. Super Silver Haze – Amsterdam’s Green House Seed Co cultivated this strain out of Skunk, Northern Lights, and Haze, picking up big wins at the High Times’ “Cannabis Cup” in 1997, 1998, and 1999. The sticky Sativa blend produces energetic, enduring body highs, ideal for coping with high stress, depression, chronic pain, lack of appetite, or nausea. Lemon Haze – This potent strain results from a cross between Silver Haze and Lemon Skunk. Bursting with sweet lemon flavor, this Sativa blend produces a total body high and potent mellowing effect great for treating depression and anxiety. The cerebral effects are ideal for stimulating conversation, with a long-lasting balance that doesn’t disappoint. Jack Herer – Named after a cannabis activist and author, Jack Herer is a favorite dispensary staple from coast to coast with its herbal flavor and spicy, floral aroma. This blend contains 55% Sativa, arising from a blend of Northern Lights and Haze. Jack Herer is ideal for creative brainstorming and combating mood disorders, with a mellow body buzz that treats migraines and chronic pain. Purple Haze – Popularized by Jimi Hendrix’s in 1967 and descended from Purple Thai and Haze strains, Purple Haze continues to draw fans with its high-energy cerebral stimulation that produces creativity and contentment all day long. Medically, it can treat headaches, pain, fatigue, and depression. Og Kush – OG Kush comprises the genetic backbone of West Coast cannabis, beloved for its propensity to crush stress and produce euphoria. This 55% Sativa blend from Afghanistan or Pakistan produces more sleepiness than others, but Purveyors also love the signature earthy pine and sour lemon aromas. Green Crack – Bred from Skunk #1, this popular American strain promises to sharpen focus, invigorate, and energize the whole day long. The unique tropical aroma and tangy mango flavor adds to the intrigue. Customers use Green Crack (sometimes called Green Cush) to battle stress, depression, and fatigue. Strawberry Cough – Crossbred by the legendary Kyle Cush, Strawberry Cough won “Best Flower” at the 2013 Cannabis Cup. The lingering fruity strawberry taste is a distinctive feature, while uplifting the mood, reducing stress, sharpening focus, stimulating conversation, and producing a mellow body buzz. Maui Wowie – A potent strain originating from the Hawaiian Islands in the 1960s, Maui Wowie (sometimes spelled “Maui Waui”) is known for its tropical aroma and pineapple flavor, as well as its cerebral boost to creativity, mood, and energy levels. Is Cannabinoid Profile a More Accurate Way to Choose? According to neurologist Ethan Russo and chemist Jeffrey Raber PhD, the labeling of cannabis by Sativa vs. Indica is all a farce. “There is no factual or scientific basis to making these broad, sweeping recommendations,” Raber explains. In short: not all Sativas will energize you, and not all Indicas will sedate you. Cannabinoids – Chemical compounds like THC and CBD are the main determinants of therapeutic and recreational effects of cannabis. THC can make you feel hungry and high, while CBD alleviates pain and anxiety. Over 100 different types of cannabinoids can be found in one sample, so it can be confusing, but choosing THC-dominant, CBD-dominant, or THC/CBD-balanced strain is a good place to start. Euphoric THC-dominant strains can be effective at treating pain, insomnia, depression, and anxiety. If there are side effects or other anxieties associated with this type, a CBD-dominant strain can produce a more clear-headed effect that relieves physical discomforts. A balanced strain can produce signature euphoria, along with symptomatic relief. Terpenes – The flavor profiles of cannabis can range from woodsy and spicy to floral and fruity. The effects of terpenes can be impacted by the temperature at which they are released, which is part of the reason vaping is so popular. Going well beyond mere scent or flavor, terpenes are largely responsible for the sedating or energizing effects. For instance, pinene produces high levels of alertness and creativity, while linalool leads to relaxation and euphoria. Biology & Dosing – Low-THC strains in low doses are best for beginners, while high-CBD strains are ideal for people who are susceptible to anxiety and side effects of THC. Consumers seeking long-lasting effects will find it in edibles, while short-term experimenters can simply inhale. The Modern Canna Science laboratory in Lakeland, Florida is fully equipped to perform in-depth analytical testing on medical cannabis products. With High Performance Liquid Chromatography, we can provide precise cannabinoid profiles of your plants. With Mass Spectrometry, we can analyze terpenes and flavonoids. Other tests like Gas Chromatography, Inductively Coupled Plasma, Flame Ionization Detection, Electron Capture Detection, and Microbial Analysis, we can guarantee the purity of your plants for medical grade consumption. Since 2014 when we became Florida’s first medical cannabis laboratory, we’ve worked with licensed Medical Marijuana Treatment Centers, growers, and business professionals to determine potency and cannabinoid profiles that will lead to better medicine for all. Contact us if you have any questions about sativa strains or Florida marijuana analysis.